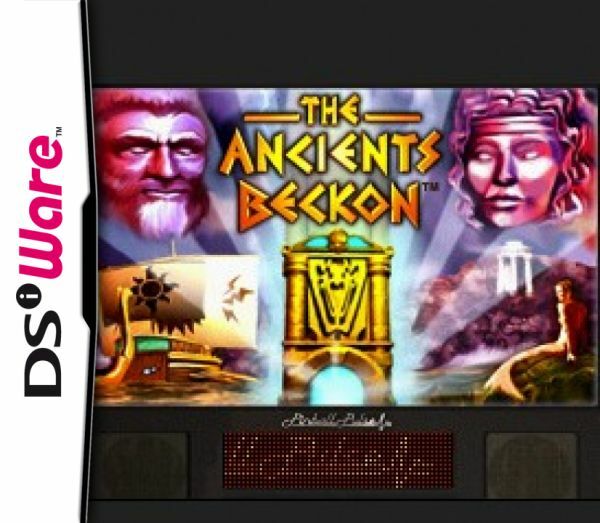 Pinball takes on mythological proportions in this Nintendo DSiWare exclusive. 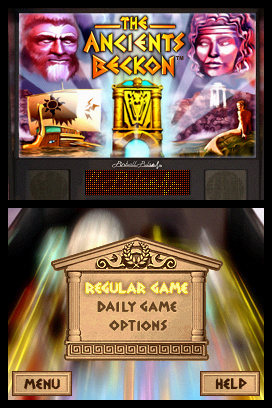 Choose from two modes of play (Regular Game or Daily Game) and begin your journey to becoming a pinball champion. Conquer mythic quests, collect gifts from the 12 Olympians, and push your skills to the limit by facing Medusa, the Sirens and more. 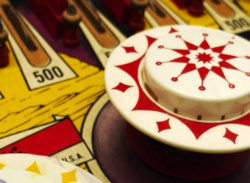 Your portable pinball table will give you a quick adrenaline rush as you watch the steel ball fly through ramps and carom off bumpers all over the playing field. Rack up combo points, open specific game modes and enlist the Oracle for some help. Will you accept Zeus's challenge? This could be quite fun. I like the idea of a portable, downloadable pinball on the DSi. I just hope Nintendo don't mess it up like they did with Mario Pinball, although to be fair, Metroid Pinball wasn't too bad and we don't know if Fuse games are doing this one as well. I enjoyed Metroid Prime Pinball. I still pick and play it even now occassionally. Wasn't there a Kirby Pinball game once. I thik people generally regareded that as good didn't they? I have been wanting to get a pinball game for ds or gba, but I might get this for dsi if it gets good reviews. We'll have to see if this is a good game or not. Still disappointed that we only get 1 DSIWare title per week, and usually they are something really out of left field, like this title. Here's hoping it's a worthy download! That Zeus head is kinda creepy!! ;-/ After playing it for the better part of my day (sick at home with the flu)... 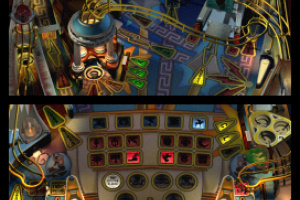 I would love to see more Pinball Pulse titles or offerings in the future! Are you listening, Ninty?? This is good pinball game check it out. It has a old-school arcade look with tons of lights, ramps, and a LCD score board. Nice ball physics round out the deal. Its 500 points so it does not have a huge variety but great for on-the-go gaming. 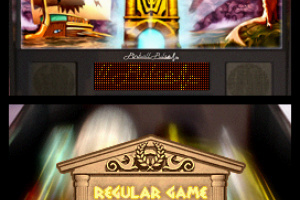 The title makes me wonder if we will see more Pinball Pusle titles in the future. It's from the very same developers as Metroid Prime Pinball, so I'm expecting this to be pretty good if not better. Time to spend some of those extra DSiWare points I haven't had use for until now. Pretty good game for on the go .. or before bed. How many blocks of internal memory does this take up? This is a great pinball simulation and I can`t wait for some more tables even if they are 500 pts each. After plaing about 10 complete games, I had several credits so went all-out with buying extra balls finally finishing with a score of 4,500,000! I then read the directions and realized I should have been focussing on some of the advanced combos. This game is so awesome. Congrats on the 4.5mil BionicJim. I've barely broken 1mil and happy with that! I got this and it is pretty fun. I would like another board but it is pretty realistic and the theme is kinda cool if you know Greek mythology. It was only 500 so I would get it. A year later and this is still the top pinball game for the DSiware. I'm close to downloading this one, but I think 3D pinball games will be a lot better. I just went to download this to my 3DS and what do I find? This is one of the select few games that DIDN'T make it over! Argh! I really hope that this means that they are revamping this game for 3D. Can anyone confirm/deny this possibility? This game is great I have had it since the first day I got my DsiXL. Also, a good reason among others, I got the XL instead of the 3DS! I really enjoy this one. Its very very realistic. I bought this a couple of weeks ago and I'm really enjoying it. I know Zen Pinball is coming to the North American eShop real soon, but I'm on the fence about selling my 3DS and I wanted a pinball game anyway (if I decided to keep it though, I can always transfer this game over. Everyone's a winner). The game looks gorgeous on a DSi XL's large screens and it's fun to play in short bursts. Having the one table doesn't bother me when it's a really good table (quality over quantity). The physics are awesome and the Greek motif is fun. Online leaderboards would have been cool, but it doesn't break the deal. I love playing pinball games and this has become one of my favorites (I think my all-time favorite is "True Pinball" for the PSOne/Saturn). Overall, it's the best 500 points I've spent since Tetris Party Live. 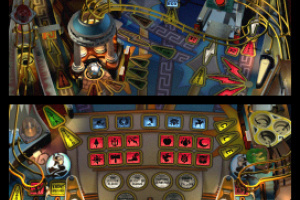 Its better than Zen pinball because it can use both screens, so you can see more of the table. Still loving this game I'm hoping I can afford to keep my DsiXL if i can get my hands on a 3dsXL some day. 'Cause I would hate to lose this game ...which is still one of my favs ...hands down on ANY system thus far. 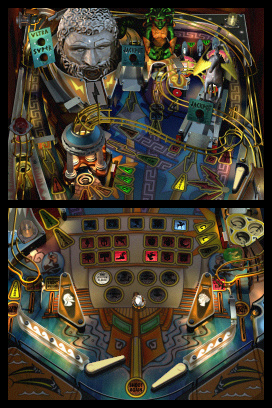 I'm a pinball enthusiast, having bought all 90+ tables from Pinball Arcade (around 250 euros) on my iPad, and enjoying them daily. These include hits from makers Williams, Bally, Gottlieb and Stern, since the 1960s to now, and I've yet to find a table in those 90+ that is as enjoyable as this little DSi game. 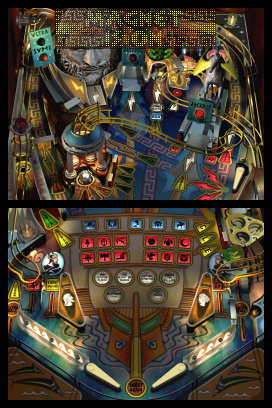 For me, it not only deserves a 10/10 perfect score, but in my opinion is the best pinball game EVER created. 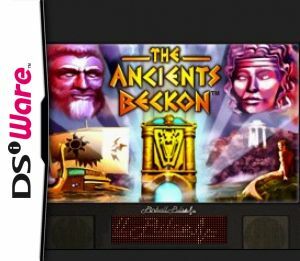 Too bad this gem is unknown to so many people... if you've got a 3DS, and are mildly intereseted in realistic pinball, do yourself a great favor and buy this game now.